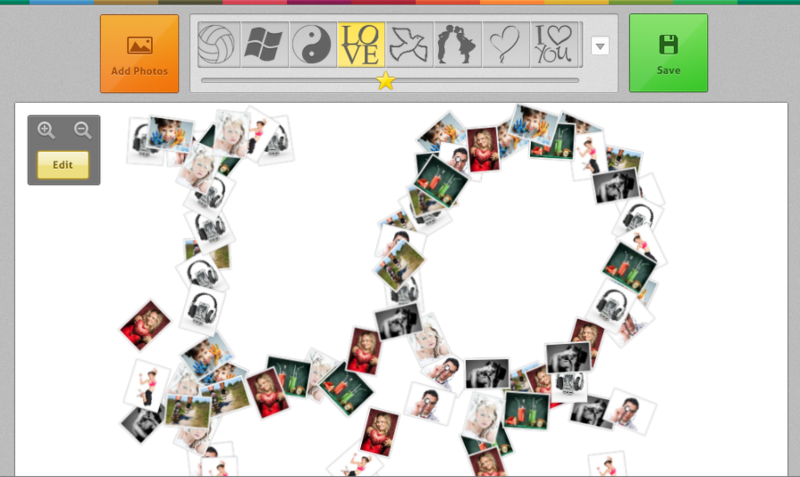 Shape Collage is an automatic photo collage app for Windows, Mac, Linux, iPhone, and iPad. 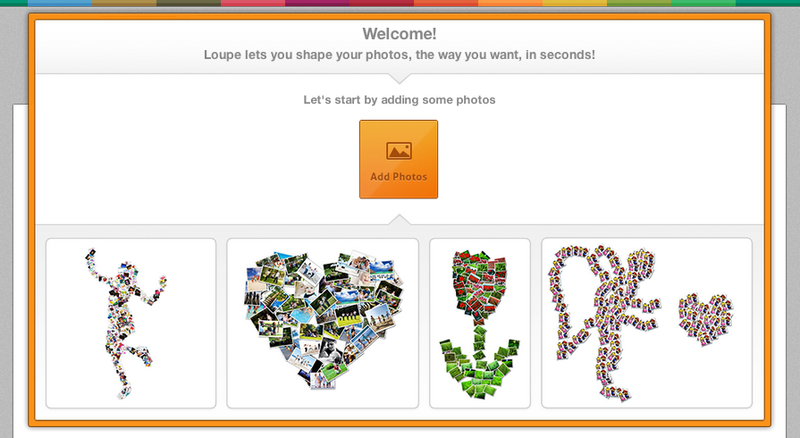 Checkout Loupe, our newest collage web app for Facebook, Instagram, Twitter, Google Drive, Tumblr, and more. 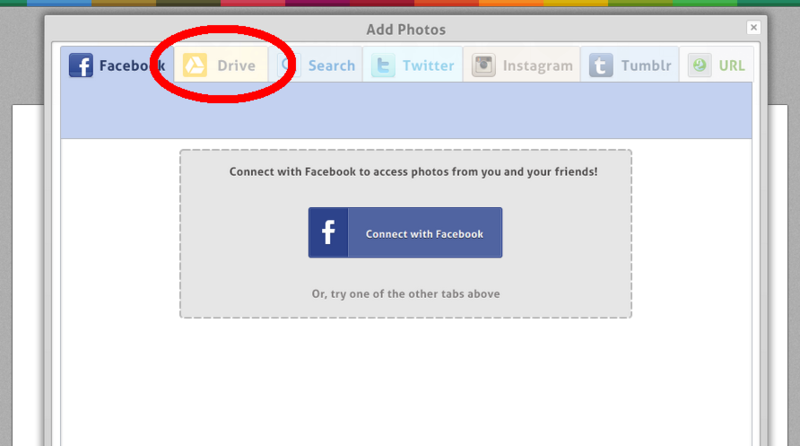 If you haven’t already added photos to your Google Drive, read “Google Drive Integration”. Google Drive allows you to store and access your photos anywhere — on the web, on your computer, or on the go. 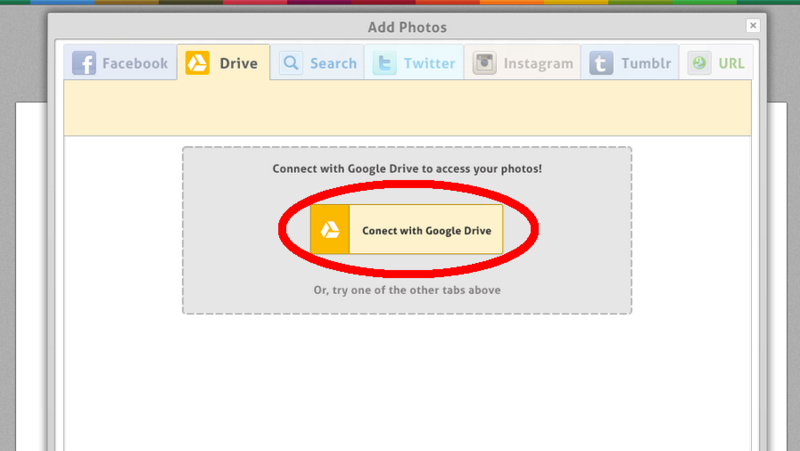 If you have photos on your Google Drive, let’s get started! 4. 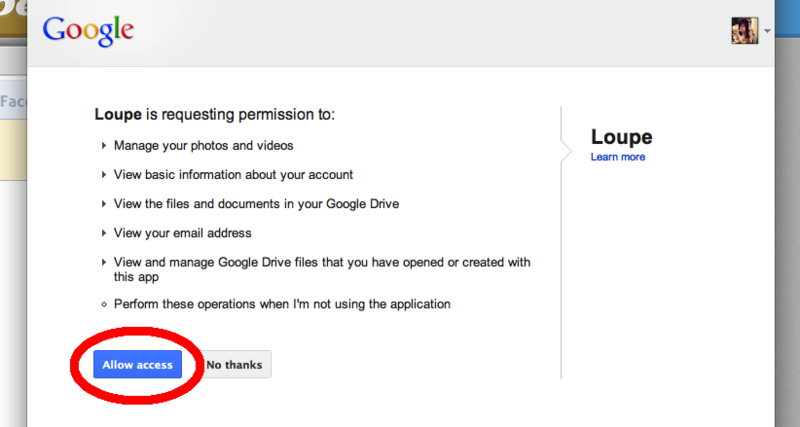 CONNECT with Google Drive. Once you have connected, you are able to grab photos from your Google Drive and also save your collages to your Google Drive too! 7. There are over 100 shapes to choose from. 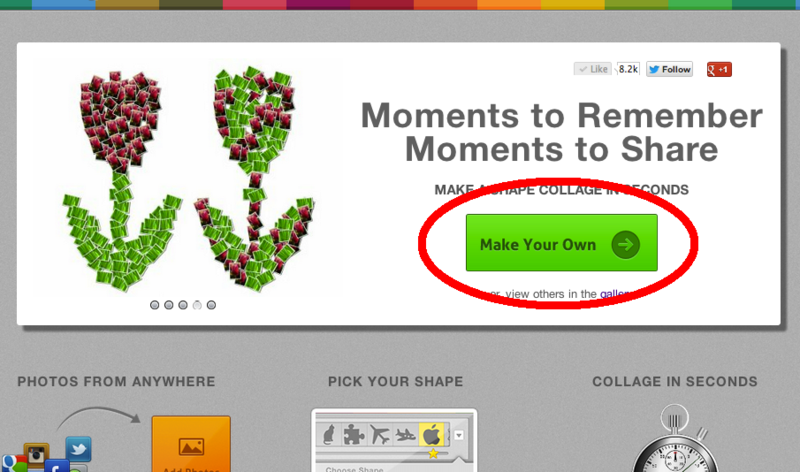 Select the shape you would like and watch as your photos automatically form a shape collage! 8. After, you can save your collage. 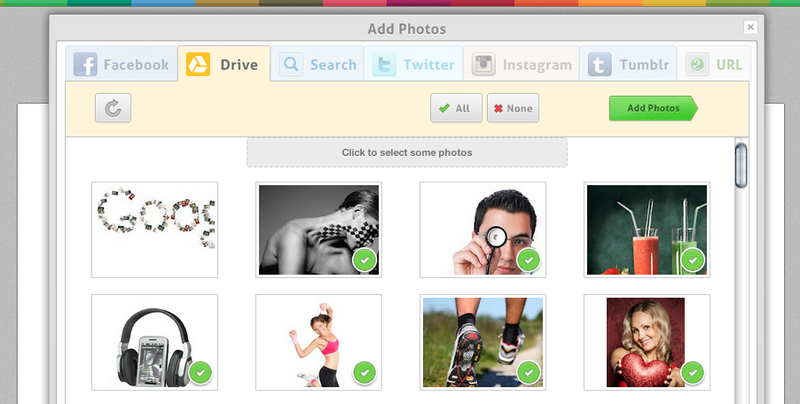 You can save your collage publicly or privately. By saving it privately, only people who have the link to your collage will have access to your photo. By saving it as a public collage, your collage will be included in the Loupe Gallery. Read more. 9. 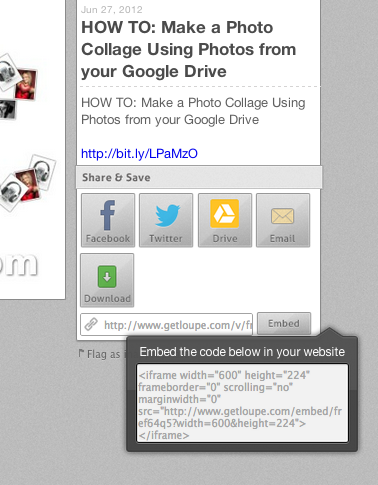 Once you have saved your collage, your collage has it’s own unique url or link. 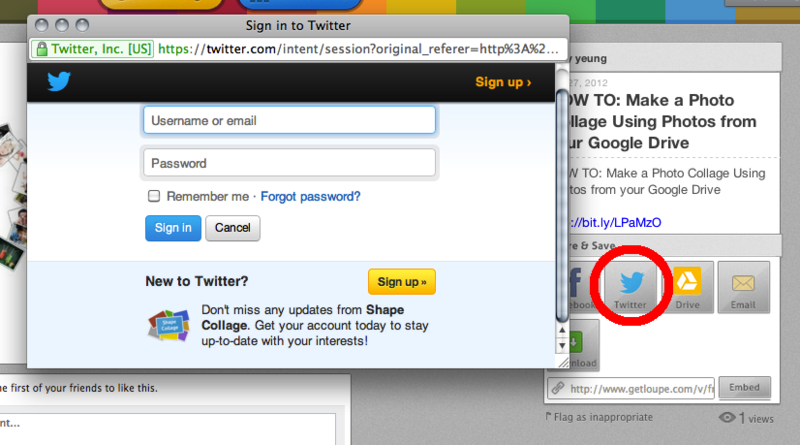 You are able to access your collage again with the url. 9. 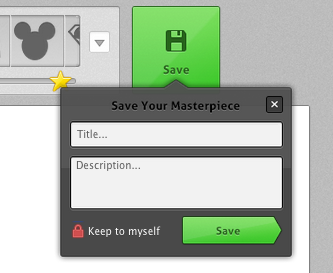 You can save your collage to your Google Drive too! 10. 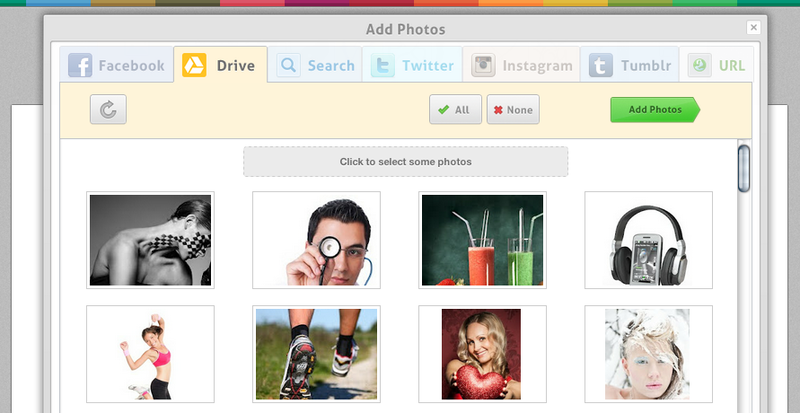 You can also share your collage via Facebook, Twitter, Email and embed your collage into your blog. 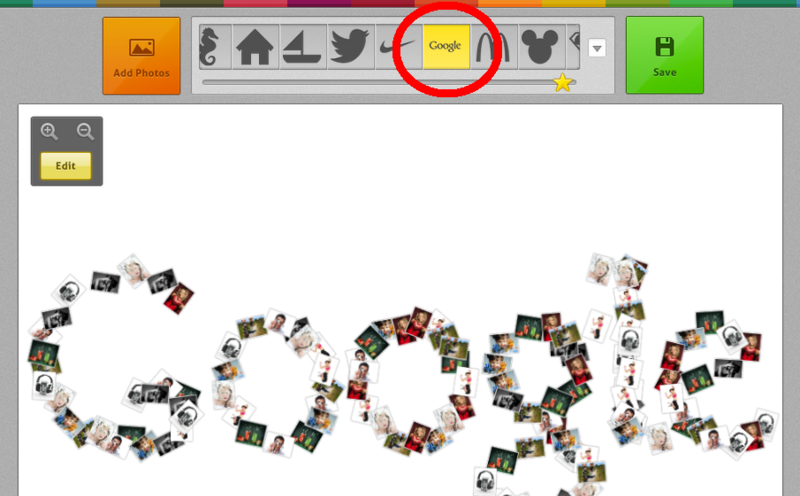 Sample of Embed: Scroll over to see the interactive collage!